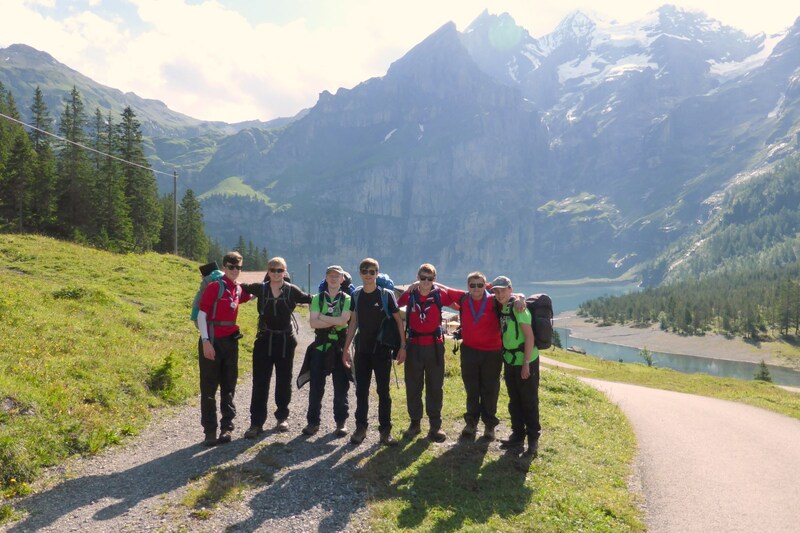 Lichfield District’s Scouts and Explorers have had the trip of a life time to Kandersteg, Switzerland this summer. This is where Lord Baden-Powell set up the first international Scout camp which he described as the first permanent mini-Jamboree. There were representatives from 1st Alrewas, 1st Lichfield, 5th Lichfield Scouts as well as Explorers from Columbus, Beacon, Darwin and Bear units. 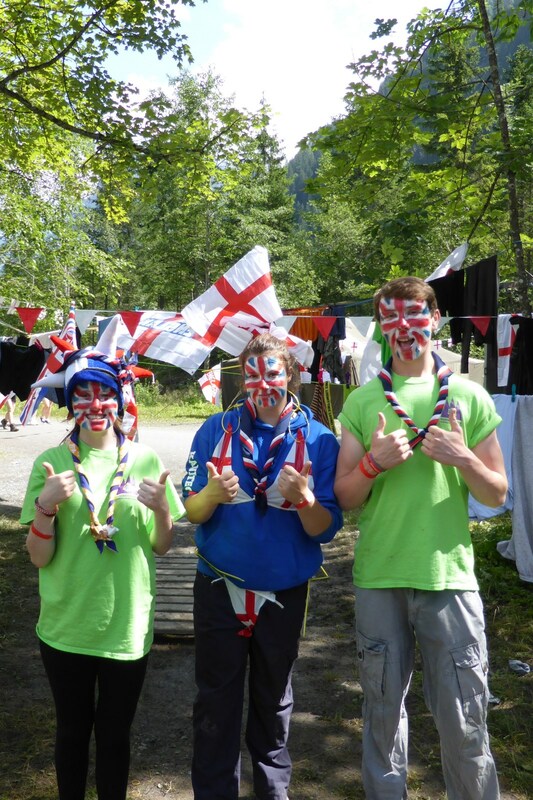 Although there were many groups represented after the first few days no one would be able to distinguish between us with a great camp team spirt. 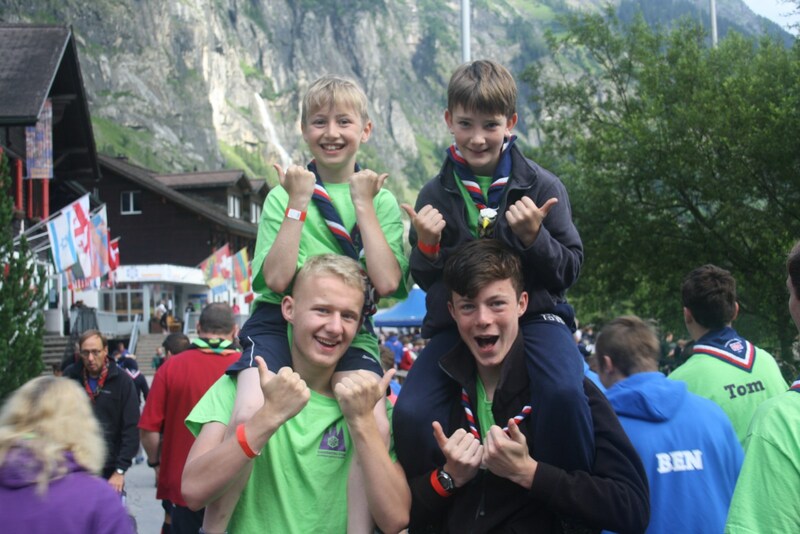 Over the twelve days that we spent in Kandersteg we had an amazing time. The torrential rain didn’t stop us for a second. 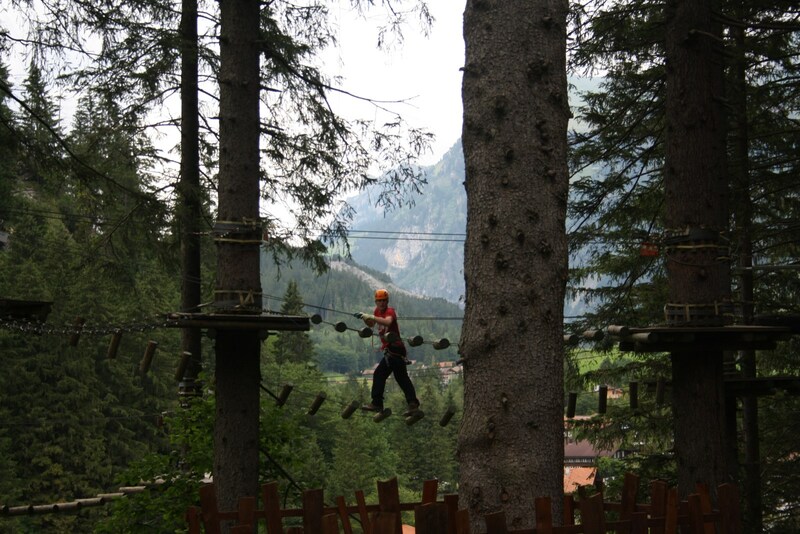 We did some amazing activities including white water rafting, swimming in an alpine lake and high ropes. 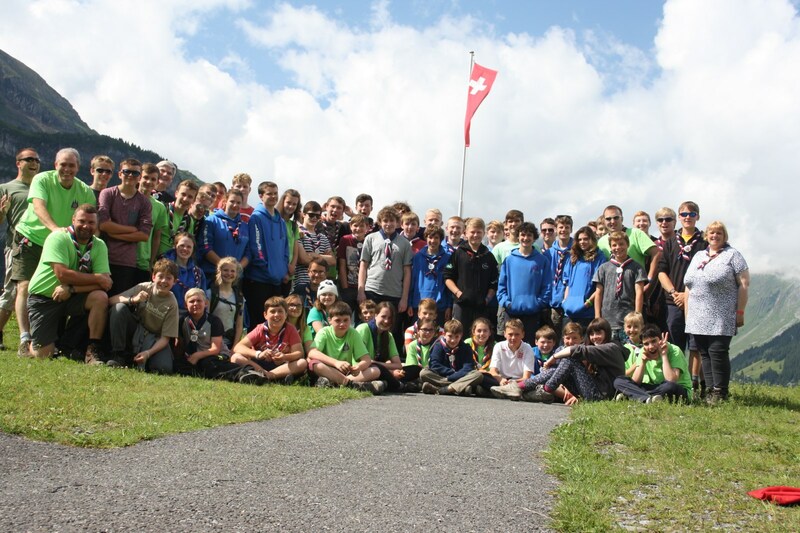 However meeting international friends was also just as enjoyed on the international sports afternoon and campfires meeting other scouts from Switzerland, Italy, Germany, and Denmark to name a few! 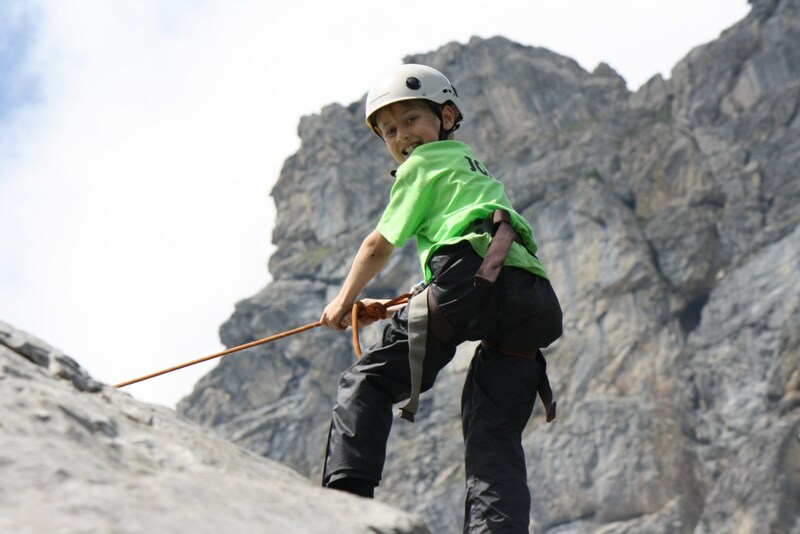 We also did many walks and 12 young people including myself were lucky enough to walk up to and stay in the Frundenhutte hut high up in the mountains near Kandersteg. 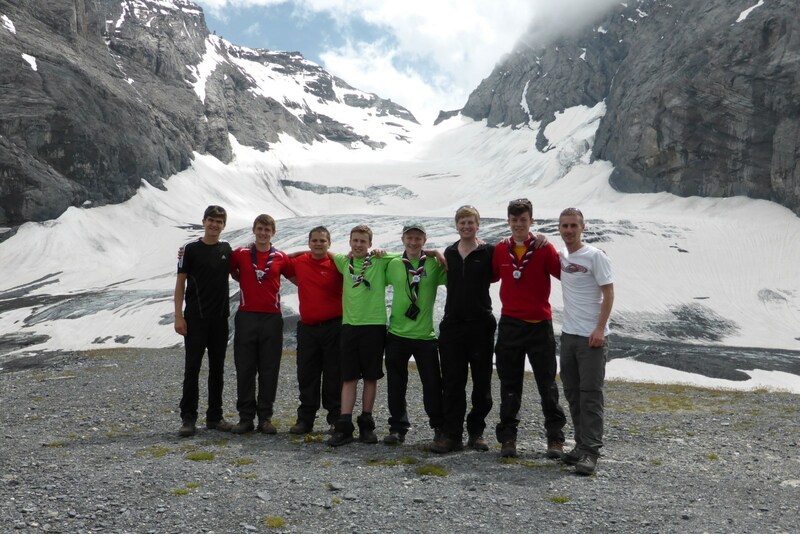 Also the Explorers had an opportunity to do the Lötschenpass Hike and walk on a glacier which was an amazing experience. 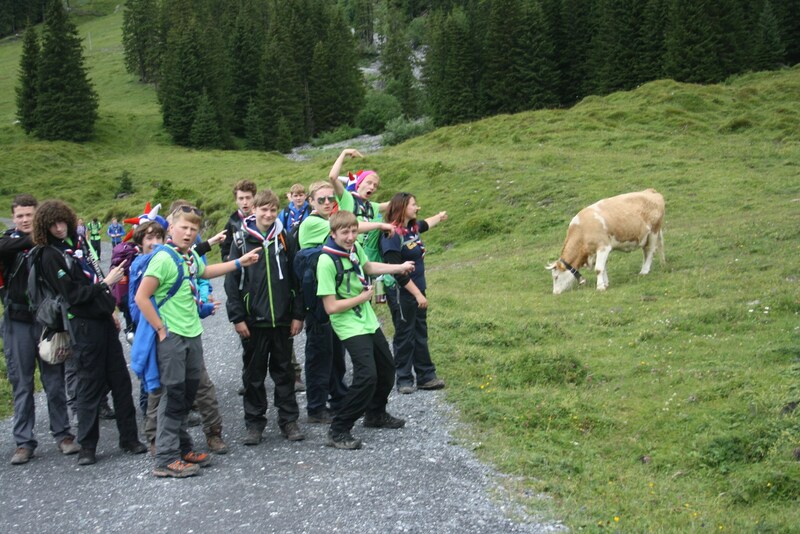 The Scouts and Explorers also did walks in the beautiful valleys around the centre. 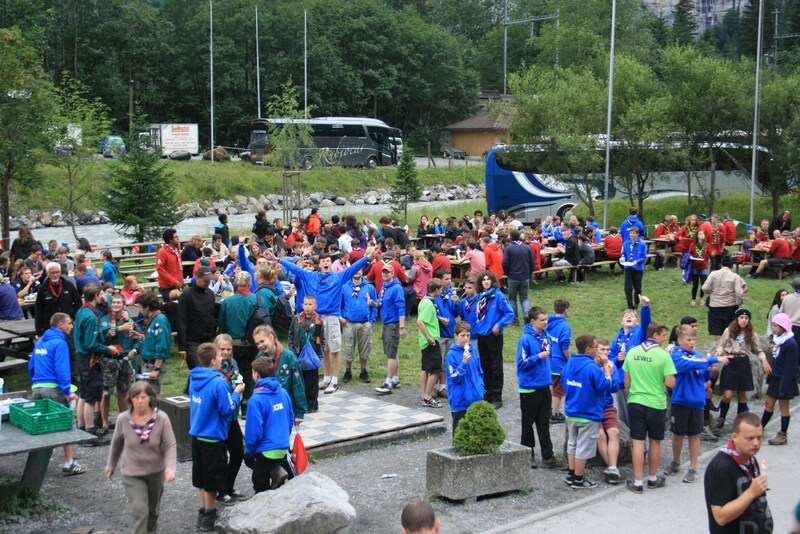 In Kandersteg we all joined in with singing songs wherever we went where international Scouts joined in with the songs which was an experience you can only have on a camp like this. 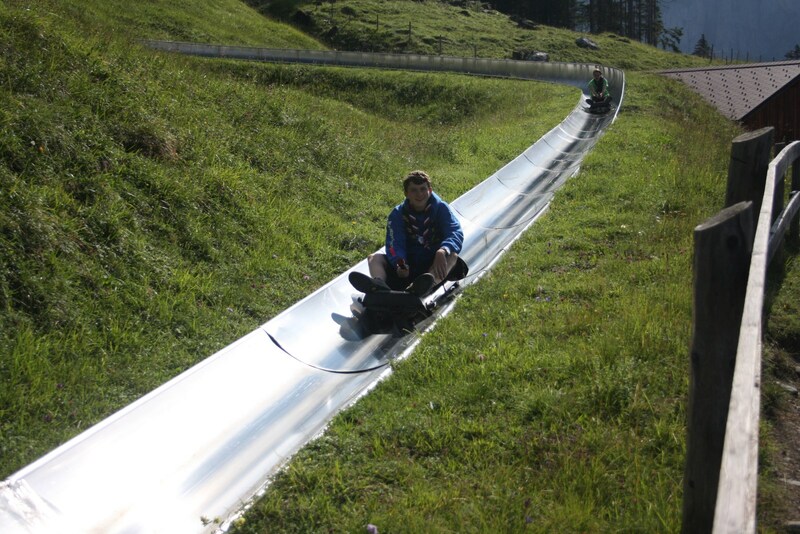 We dived into the culture in Switzerland by visiting Bern and seeing the bears as well as having a look around the city. 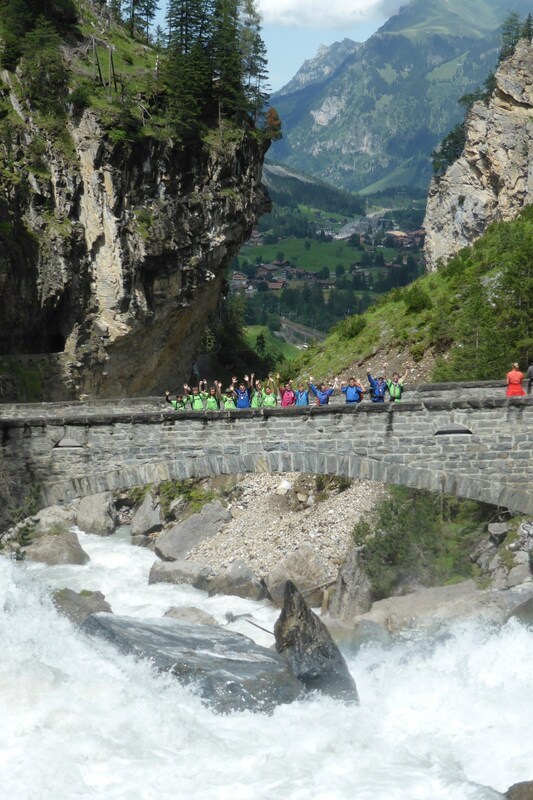 Also we went for the 1st August to coincide with Swiss national day with lots of activities put on by every group to see what culture was like in Switzerland as well as other countries represented on the camp. Our stand had marmite which people seemed to love or hate! There was also a parade which we participated in walking down to the town centre where the mayor said a few words and we saw some fireworks. 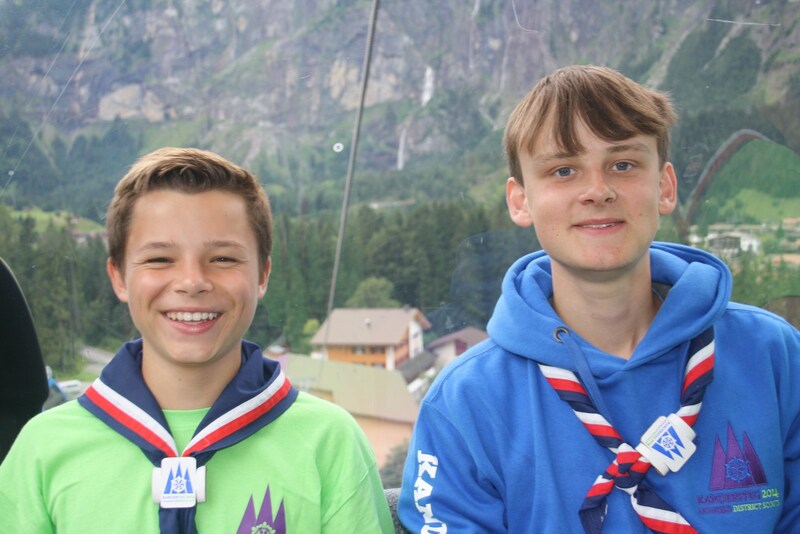 I would just like to say on behalf of all the young people a massive thank you to all the leaders that took us and to the pinkies at Kandersteg and I hope that many more young people will be able to have a similar experience not only along the district but also the county. I have seen things I wouldn’t have had the chance to see anywhere else, and experienced things I hope I get the chance to experience again. 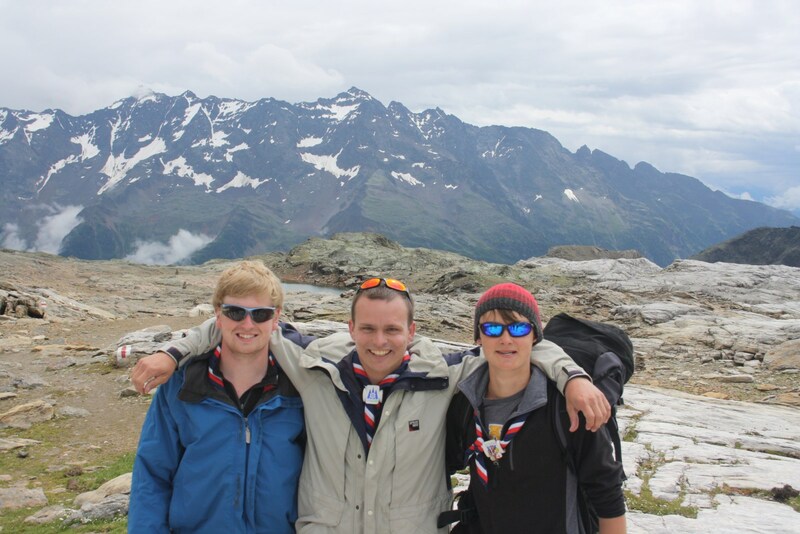 I’m proud to be a Scout and to have represented my Group, District, County and the UK in Switzerland.